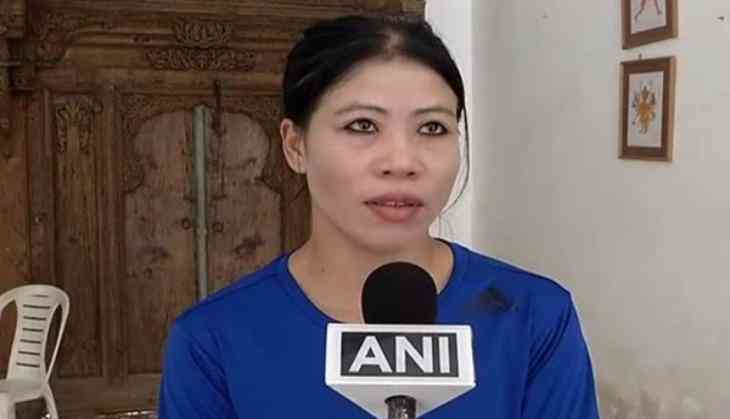 Boxer M C Mary Kom will represent the International Boxing Association (AIBA) at International Olympic Committee Athletes' Forum. Kom, 33, has created history by becoming the first Indian to be picked as the AIBA representative for the IOC Athletes' Forum scheduled to be held from November 11 to 13 in Lausanne, Switzerland. This will be the 8th International Olympic Committee's (IOC) Athletes' Forum. The International Boxing Association, originally the Association Internationale de Boxe Amateur and still referred to as the AIBA, is a sport organization that sanctions amateur boxing matches and awards world and subordinate championships. The three-day Athletes' Forum takes place every two years and sees the participation of athletes,Olympic medal winners and those who have represented their countries at the Olympics. Athletes' Commission representatives from the IOC, the International Paralympic Committee (IPC), International Federations, Continental Associations and, for the first time, athlete representatives from the Organising Committees for the Olympic Games also take part in the deliberations that aim to chalk out future plans and strategies for sportspersons taking part in the games. The plenary sessions and panel discussions cover topics concerning athletes, how to improve effectiveness of leadership and Athletes' Commission management best practices to athletes' services and welfare, communication and experiences during Games time and beyond. Athletes are at the heart of the Olympic Movement, and their voice is central to the IOC's decision-making.